Oh and I own one and live in Australia (rocks, rocks and more rocks). After riding a DH bike for years, this is faster over almost every rough trail because it's lighter and you can gap sections mid rock-garden. Nonetheless let's not forget it's a trail bike. House junk? I own this bike (and it is surprisingly good value!) The wheel set on this bike weighs 1640g! It also rolls on rebranded DT Swiss 240 hubs. If you think that is house junk check the weights of ENVE, Mavic etc wheel sets and get back to me. Also, try find another bike that runs XO1, factory kashima, 4-pot elixirs etc for this price. The Giant frame designs are some of the most reliable, resilient, light and strong frames on the market. I've worked at a shop for years and we've sold SC, Yeti, Cannondale, Pivot etc. The least problematic bikes of all are the Giants. 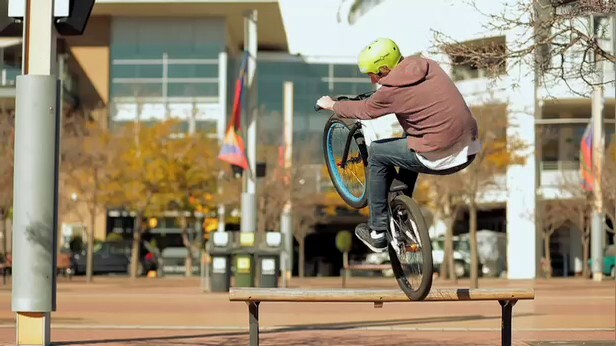 Posted in "Ryan Meader - Downhill Segment"
What camera do you used in the last movive? Posted in "Leaf Cycles Team Rider Callan Robison"
Posted in "Aaron LaRock Full length Film - What's Next?" Posted in "Video Camera Information"
It's Australia, half of it IS winter footage, haha.